Before you send us files, you really need to ensure that you have followed the instructions, for preparing them properly. All of the instructions say to convert the fonts to outlines. Even though all the instructions say this, and we have said it here, someone will still not do it. Don’t be the one to say “I thought you would have that font”. Don’t be that person. Flattening: For the best results please flatten your files. This is will ensure that your bitmaps and transparencies print properly. Note that drop shadows are also transparencies. InDesign: We do NOT use InDesign as part of our workflow. Please do not send us files which assume an InDesign workflow. Provide a jpeg: Please provide a low resolution jpeg, as well as your print file, so we can check that your print file is importing properly, as compared to the jpeg. 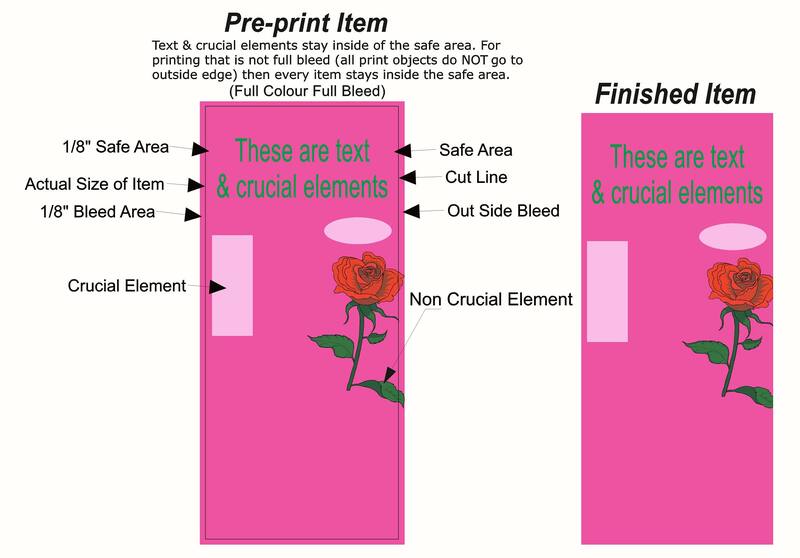 Print-Ready is a term used to describe a file that has all the specifications necessary to produce high-resolution printed output, without requiring any additional alteration or intervention.